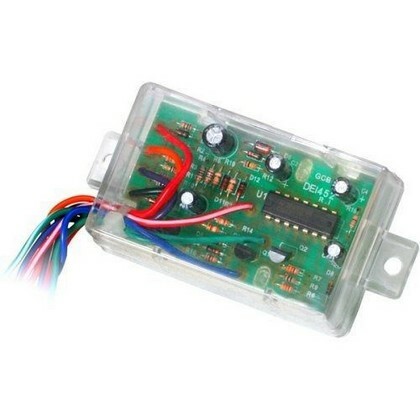 Directed Electronics Door Lock Pulse Generator Directed Electronics Door Lock Pulse Generator, Directed Electronics 452T Sensor, Door Lock Pulse Generator, Door Lock Sensor, 3rd Strike Performance [Directed Electronics 452T Sensor] - $19.95 : 3rd Strike Performance, Your Source for Late Model MOPAR Performance Parts and Accessories! Directed Electronics has been in the automotive electronics industry since 1982 when they first began producing vehicle security products as a solution to a drastic increase in vehicle thefts. Based in Southern California the company really took off when they introduced the Viper brand of car alarms. Now the company has drastically expanded and even acquired several notable mobile electronics firms including Polk Audio and Clifford. Today they show a continued commitment to developing the most advanced automotive electronics on the market. Their product range has come a long way from simple alarms and now includes remote starting systems, GPS tracking units and much more. With the most advanced products on the market and an excellent reputation for service, Directed Electronics is hard to beat.